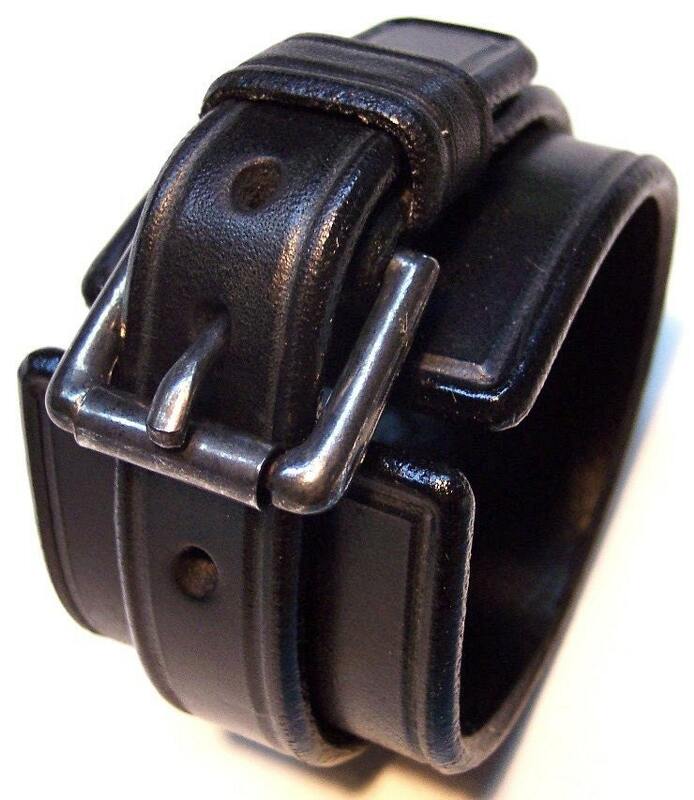 Black Leather cuff bracelet : Wide wristband with distressed hardware Handmade for you by Freddie Matara! 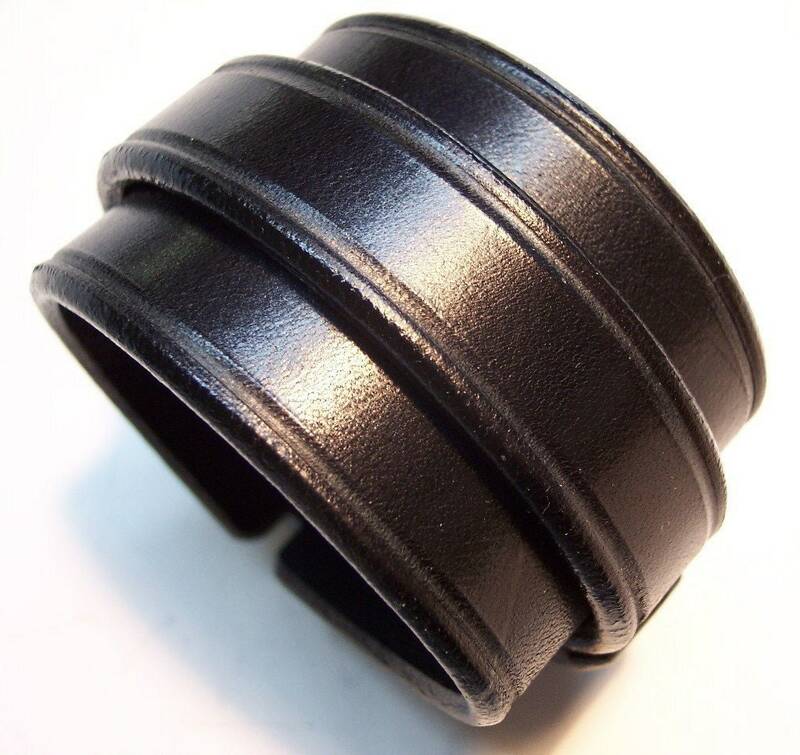 This black Leather cuff is 1-3/4" wide and completely scribed on the main cuff, strap and keeper. The edges are beveled, slicked smooth and sealed! 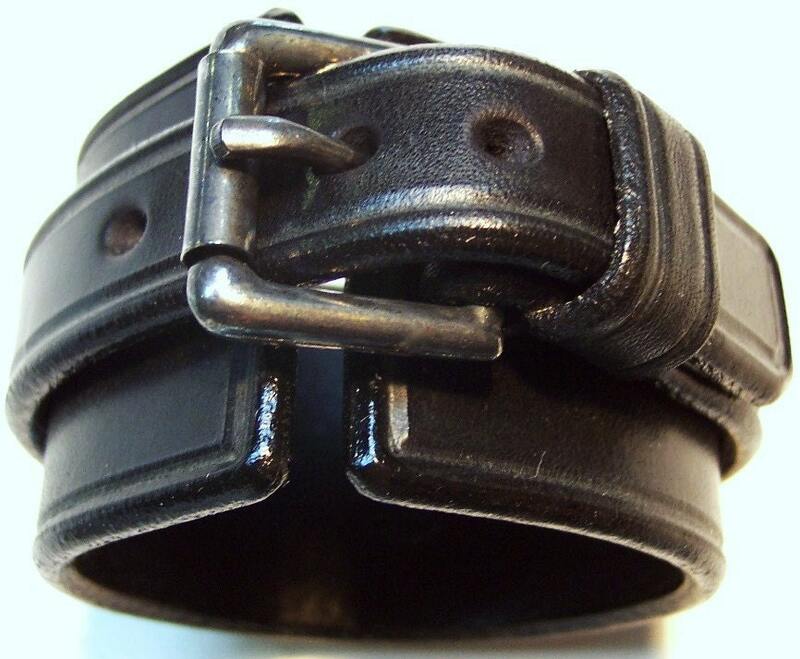 Hand distressed buckle and rivets make it your favorite cuff! 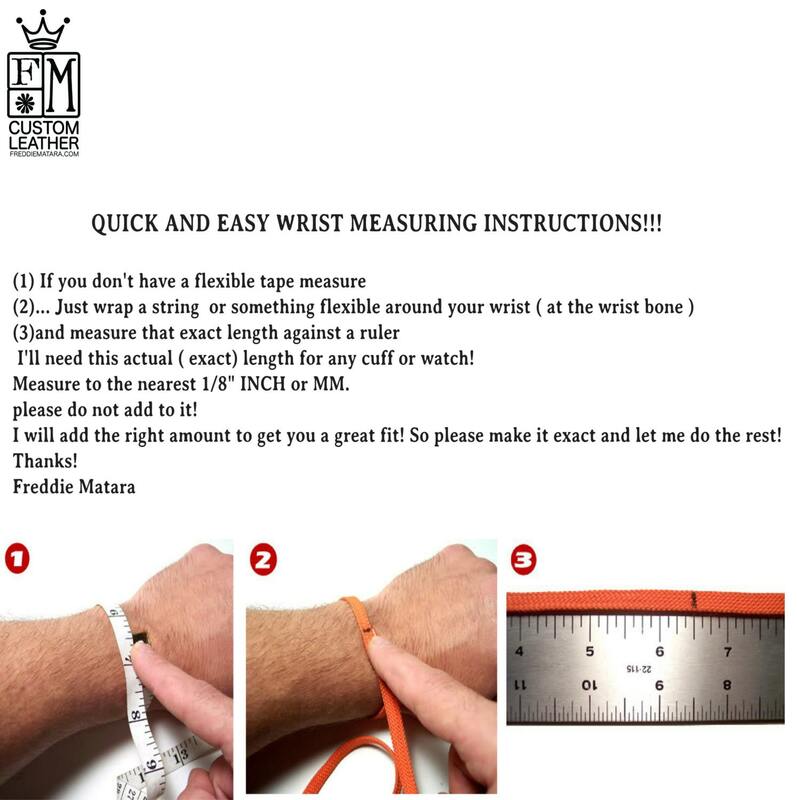 I need your wrist size for this cuff. Instructions in the pics above! My second leather cuff from this store. And I'll be getting more. Beautiful leatherwork. The bracelet arrived a bit small so I contacted Freddie who was more than accommodating and resized it for my husband in person (since we live locally). Really friendly and great to work with, and the piece is gorgeous. Thank you Freddie! It's a beautiful hand crafted work. The artist c Freddie Matara, contacted me to assure it was the correct size. It was made especially for my order. Freddie kept me informed along rhevwhole process. It was made, shipped, and received much faster than I expected. I will be purchasing more items from Freddie! Thank you for your speedy service and great quality product!